Unlike Penguin and Panda updates that we discussed in the previous posts, Google hummingbird is an update to the search platform itself. It was released in September 2013. 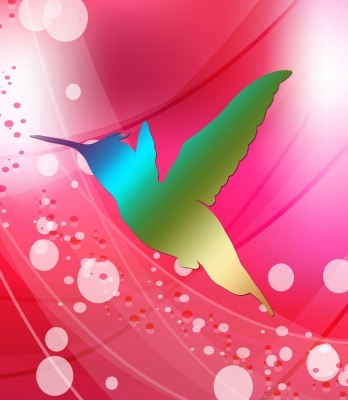 Hummingbird is considered to be first of its type update since 2000’s. In essence, hummingbird tries to add intelligence to the whole search phrase by considering the meaning of the phrase. If PageRank was the buzzword in 2000’s hummingbird and entity search is the buzzword today. In my opinion, this was not an overnight change, but an experiment and improve approach starting with the introduction of Knowledge Graph. Before we dive deep into Hummingbird, let’s focus very briefly on two associated concepts for this blog post. If you are in the search industry for at least some time, you know this the ABC of how Google works. PageRank was and may still be the holy grail of how Google search engine works. Having said that, various studies have indicated PageRank is just one of the over two hundred components or ‘signals’ as they call it in deciding the search results. At the very basic level, PageRank is an algorithm component in which links to a website/page is considered votes and in turn used to decide the relevancy and credibility of that web page. Though the caveat here is, the quality of links is also considered; thus the mere high number of inbound links won’t get you a better PageRank. Provided below are two articles that explain the topic exhaustively. Caffeine was an infrastructure update to Google ecosystem in 2010 unlike a search algorithm change. Before Caffeine update, the crawling and indexing was based on a batch mode. So irrespective of how large the batch is, all web documents were pushed to live after the complete indexing procedure. With the caffeine update, Google is able to crawl the page and looks into the index and push live all in a matter of microseconds! This enormously improves searcher’s experience. It is also expected that the storage capacity and index size was increased with this infrastructure update. Haven’t you seen the search results changing on the fly while we type in int Google? Thanks to caffeine update! We discussed about Knowledge Graph in the last blog post. In short, Knowledge Graph tries to provide information about search queries rather than mere links to web pages that talks about the search query. It tries to consider data as entities and defines relationships between these entities. Read the blog post to understand better what Knowledge Graph offers you today. Last leg of hummingbird update is the incorporation of voice search, especially in mobile devices and how search results are shown in mobile devices (no surprise there since factors like geo location can be better identified and thus personalizing the search result). We will look into entity search in detail in another blog post. However let’s look into one of the foundation component which drives this showcase of facts and information. It’s all about making and utilizing structured data; And schema is one way to achieve it. Schema is a markup which provides meaning to the web page components. For example if you are talking about reviews in your website – you can use the mark up to identify the section as Reviews so that a search engine can pick up the rating directly for an associated search query. Schema allows you to define entities. For example, a Product, its specifications, its reviews , price and so on. Another example being the the rich snippets that we discussed in the blog post about Knowledge Graph is powered by schema. Schema is not the only markup, we have others like RDFa, microdata and so on. Thus we could consider markups being the underlying requirement for semantic search.